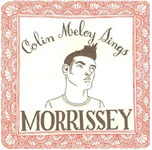 This EP was sold by Colin Meloy on his early 2005 solo tour. An acoustic version of "Everyday Is Like Sunday" had previously been made available for download in 2004. "I Know Very Well How I Got My Name"